In the face of ever-changing healthcare regulations, hospitals and other healthcare provider organizations face tightening budgets yet growing operating — particularly compliance-related — costs. Did you know that supply chain costs are the second largest expense for healthcare provider organizations (after labor)? With these costs growing faster than other operating expenses, organizations are looking for innovative ways to cut or better manage their spending. One method of trimming and better managing supply chain costs is by relying on a contract management system. According to a 2011 Pricewaterhouse Coopers study, organizations can realize savings that equal up to 2% of total annual costs by eradicating errors and noncompliance through automating their contract management systems. 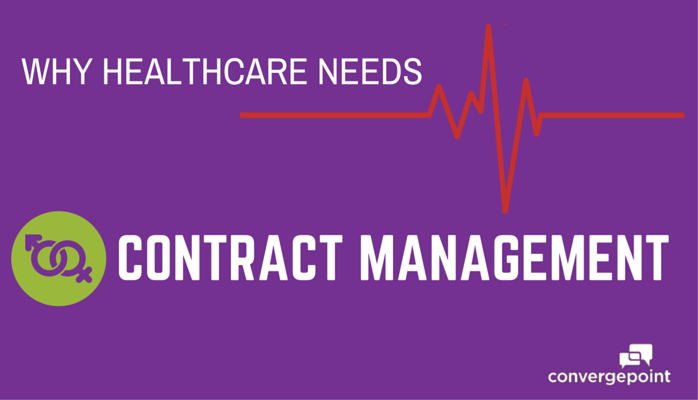 It seems easier said than done, when most large health systems have hundreds or thousands of contracts with dozens of vendors, contractors, etc. These contracts each have their own pricing updates, addendums, contractual obligation deadlines and renewal dates, and it can be difficult for already-busy procurement teams to track these changes, much less have time to research discrepancies, competitive pricing and variances from the original contract prices. Need: To assemble and maintain important contract data on every vendor, contractor and partner, while protecting private data. Solution: Keep contracts and supporting documents in one central document repository, hosted on your on-premise SharePoint server. Result: Easily find the contracts you need, which are organized by type, department and other categories. Because documents are kept on your on-premise SharePoint server, you maintain control of your documents, which are securely stored and can be kept in their existing formats (Microsoft Word, Excel, PowerPoint, etc.). Need: To move away from paper-based processes, which lead to errors from manual data entry, difficulty managing files and slower compilation of reports. Solution: By automating contract processes, you reduce the potential for mistakes from manual inputting of data. Version history, revisions, discussions and full audit trails are tracked and maintained. Ad hoc reports can be compiled with the click of a button. Result: Cut costs by reducing paper and gaining greater visibility into contracts through reporting on key metadata. Reports also help improve audit preparation by ensuring both your healthcare organization and its vendors are complying with the contracts’ terms. Fulfilling terms on time and as agreed upon improves and solidifies business partnerships, and helps you determine how much you can negotiate on pricing and terms when it’s time to renew a contract. Need: To eliminate unnecessary, duplicate spending. Solution: With advanced search capabilities, procurement teams can find contracts and important information (contracted vendors, supporting documents, pricing, key deadlines) to avoid buying duplicate products and services. Pull up all contracts made with a particular vendor, or search by category. Result: Save money by avoiding redundancy, while still ensuring your staff has the services and equipment they need. Quickly see what and how much your organization is buying from each vendor, ensure correct quantities are purchased, and view and analyze pricing. Need: To do away non-performing contracts. Solution: A contract management system’s obligation and renewal management sends automated reminders when obligations and tasks are due, or contracts are nearing renewal or expiration. Result: Immediately address vendors who aren’t meeting contract terms, and avoid unnecessary higher costs, pricing errors and headaches from dealing with unreliable vendors. Also avoid auto-renewing contracts, which can potentially lock you into another (more expensive) buying cycle. By tightening up your contract processes with a contract management system, operational and fiscal management is improved 55%, according to a 2012 Aberdeen Group report. For a step-by-step guide on how to prepare your organization for a contract management system (or make adjustments to your current one), take a look at our How-to Guide.